The interior of the castle is breathtakingly gorgeous, spacious, and luxurious. 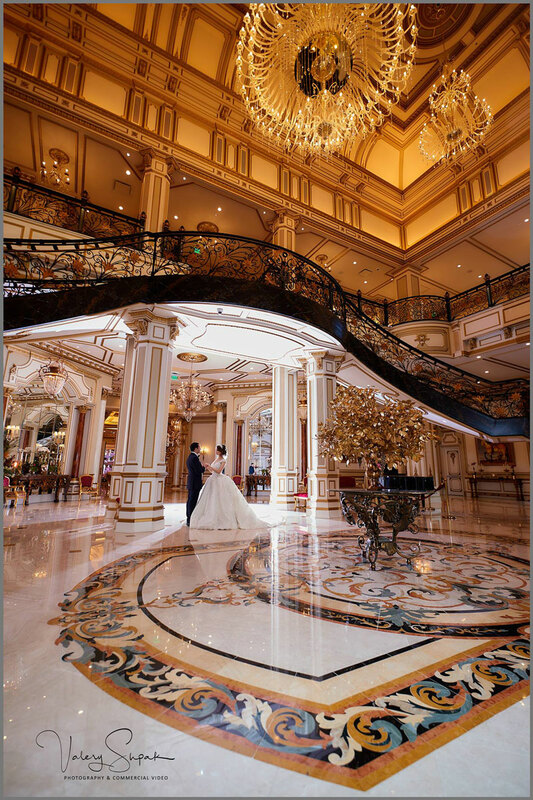 Starting from the foyer, to the main lobby, cocktail areas and ballrooms. 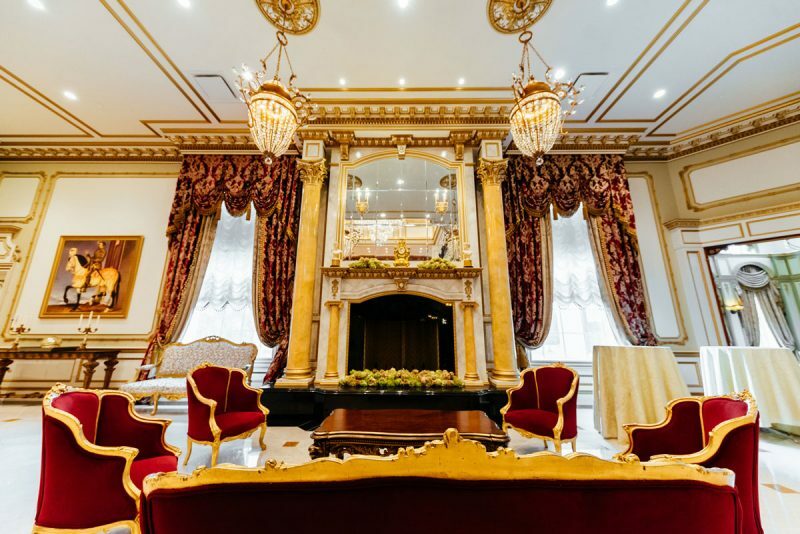 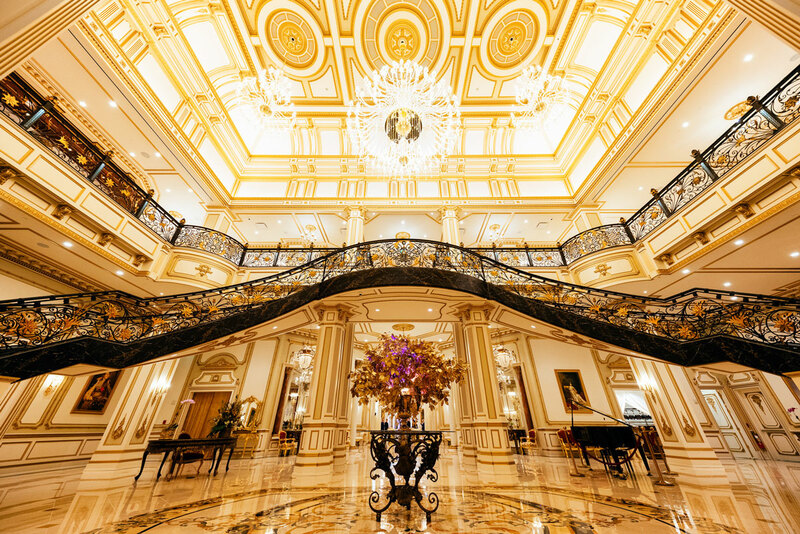 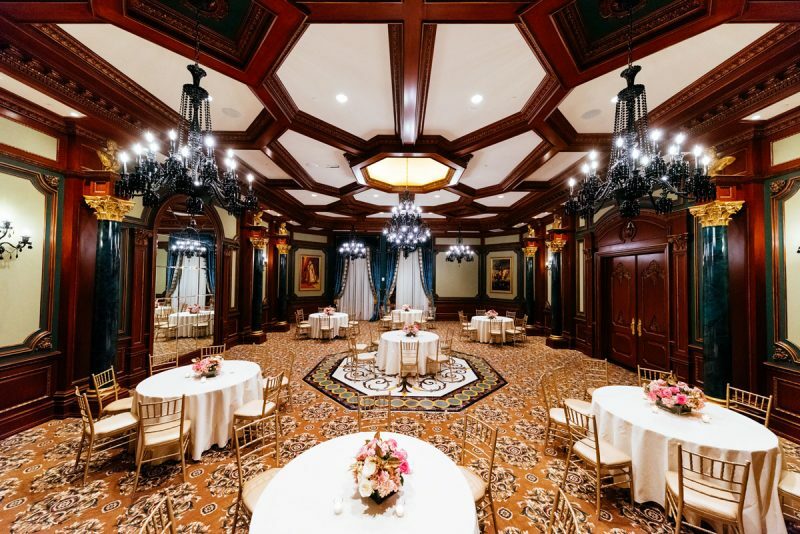 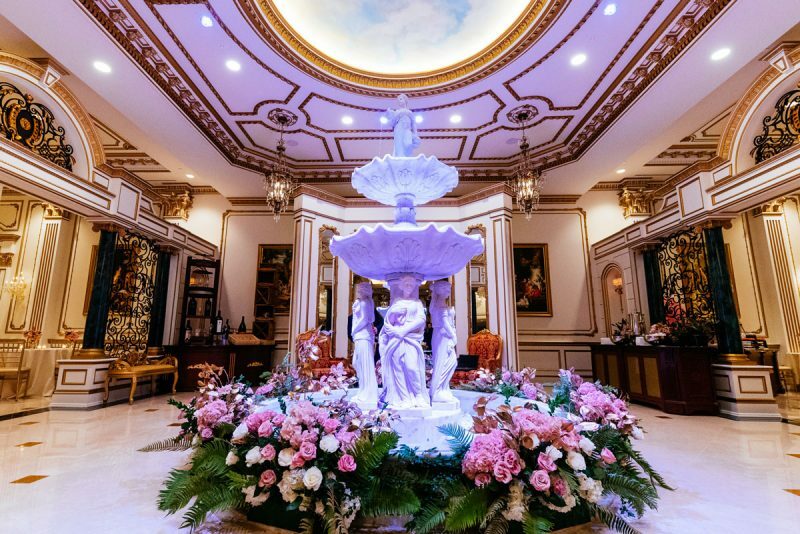 The focal point of The Legacy Castle is the main lobby, with an unusual 55-foot ceiling, dual floating grand staircases, an exquisite fireplace, and marble floors with an ornate center medallion of different colored marbles. 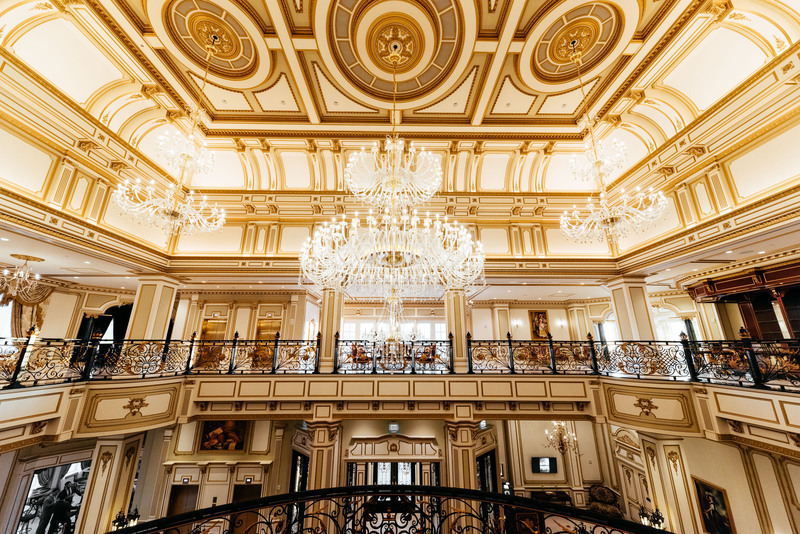 The design of the main ceiling is unique and sumptuous. 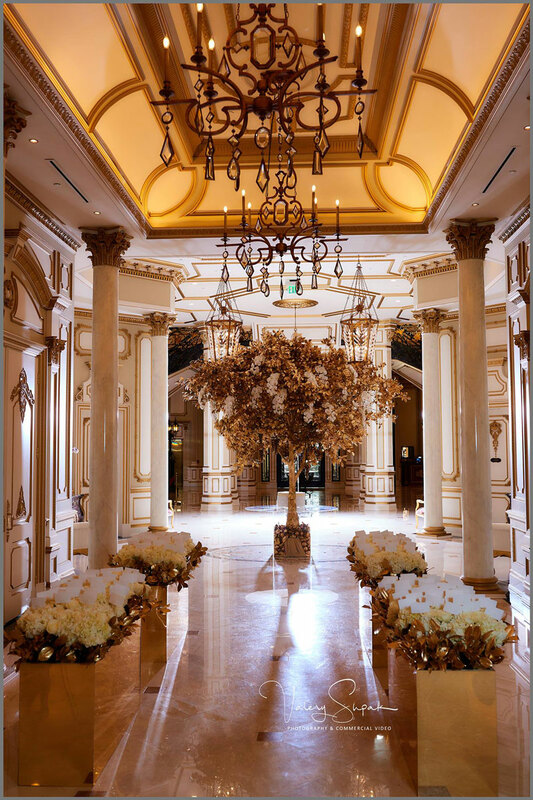 Suspended from the ceiling is a majestic chandelier flanked by two additional elaborate chandeliers. 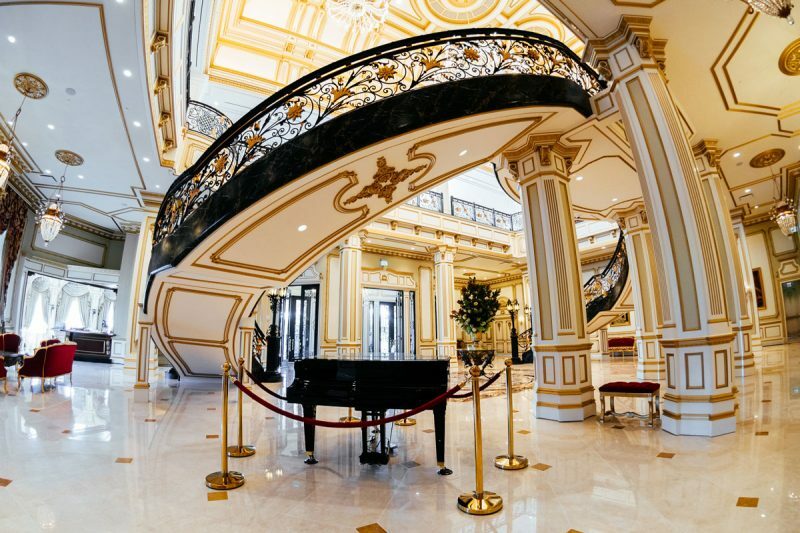 At the bottom of each staircase are two lampposts with black marble steps. 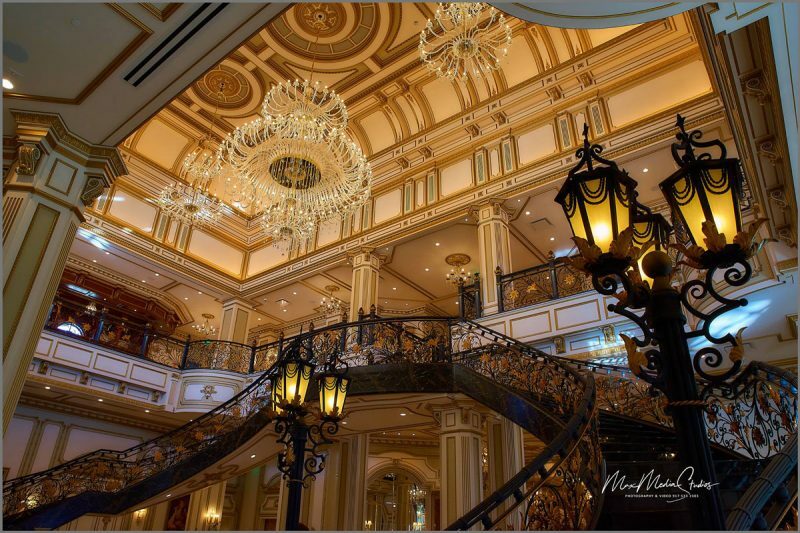 The wrought-iron stair railings throughout the second floor are custom designed with illuminated Newell posts. 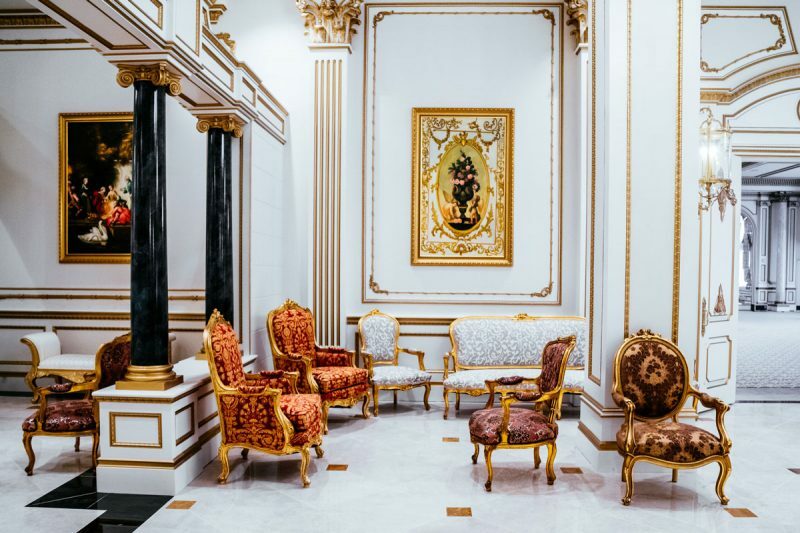 The castle doors are embellished with ornate moldings and appliques. 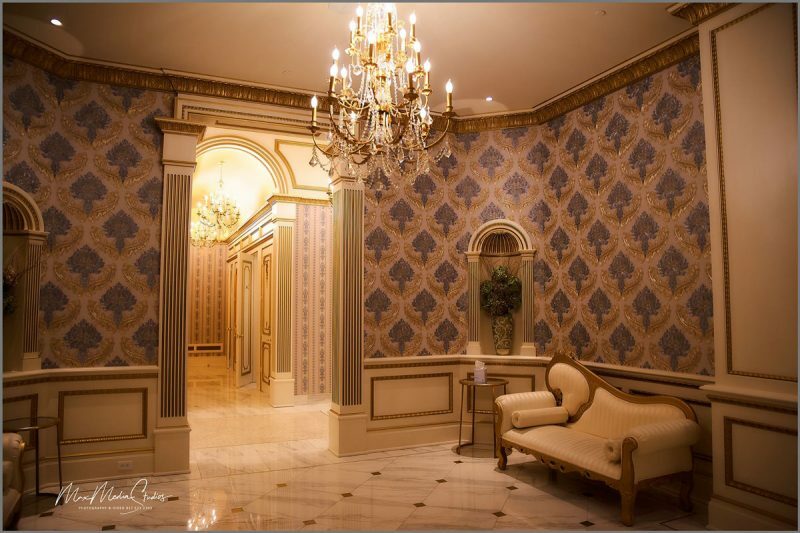 Hand carved cartouches sit above the doorframes. 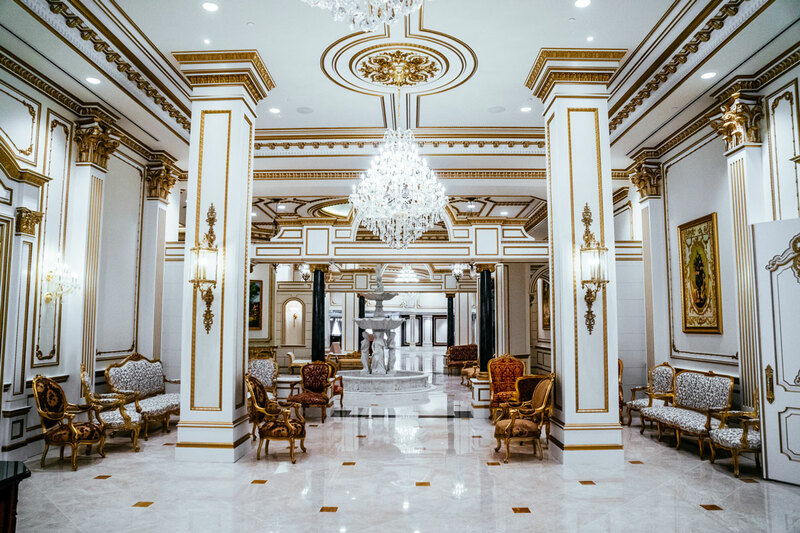 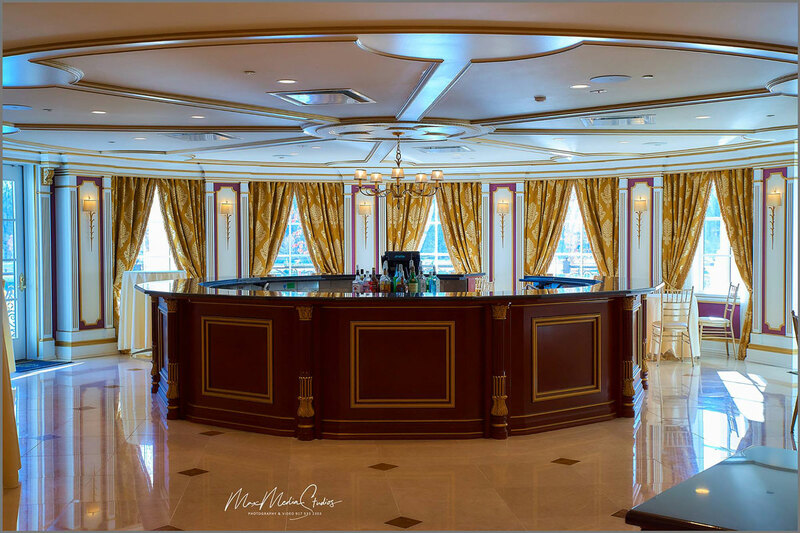 Like a symphony, the architectural features and decorative elements come together to give the main lobby a sense of timeless, classic elegance. 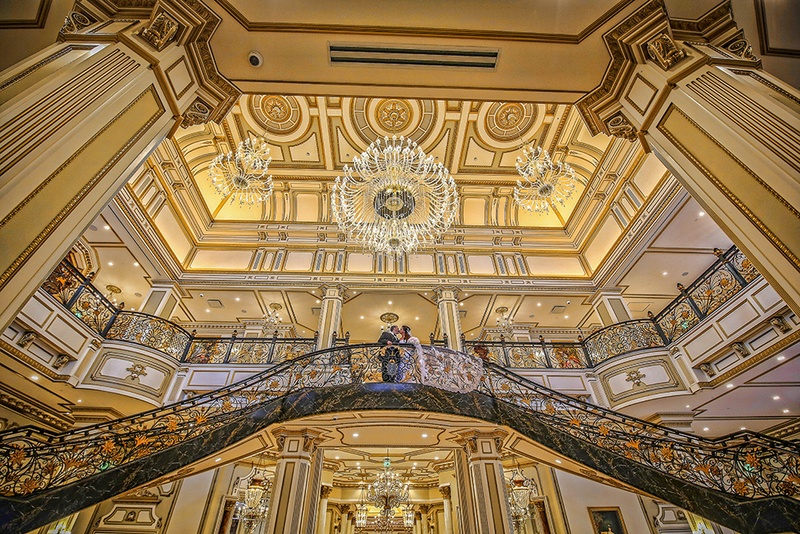 The ceilings throughout the castle are exceptionally high. 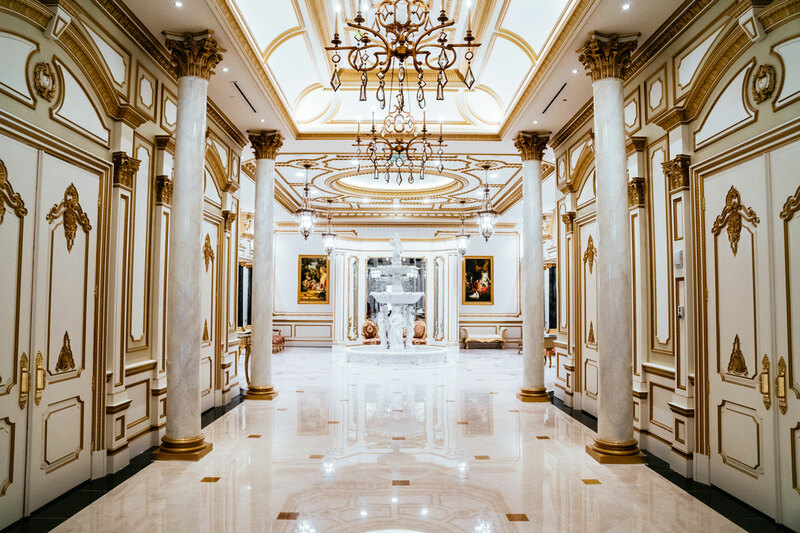 Each ceiling is designed differently. 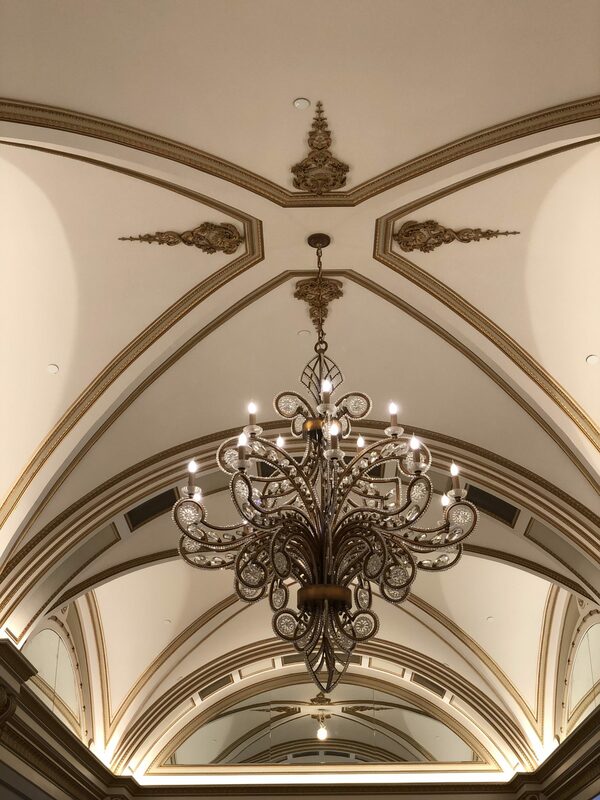 Coffered ceilings, barrel ceilings, and vaulted groin ceilings are all enhanced with ornate applied moldings and highlighted by hand-painted gold accents. All of the ceilings are accentuated by cove lights, chandeliers, and wall sconces. 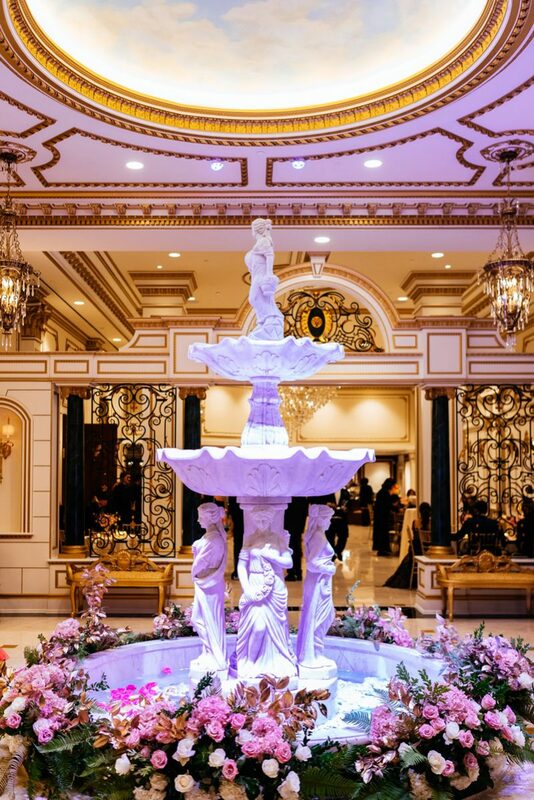 From the lobby, looking down the main hallway flanked on both sides by marbleized columns, sits an indoor fountain of carved white marble. 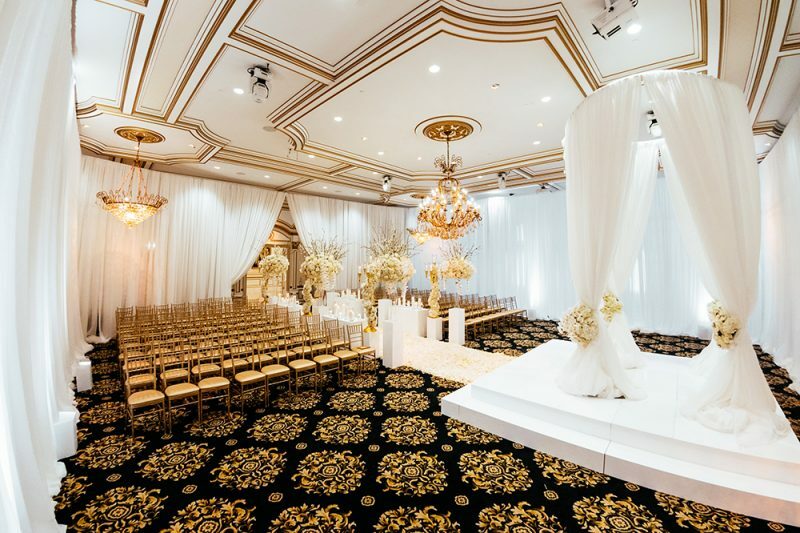 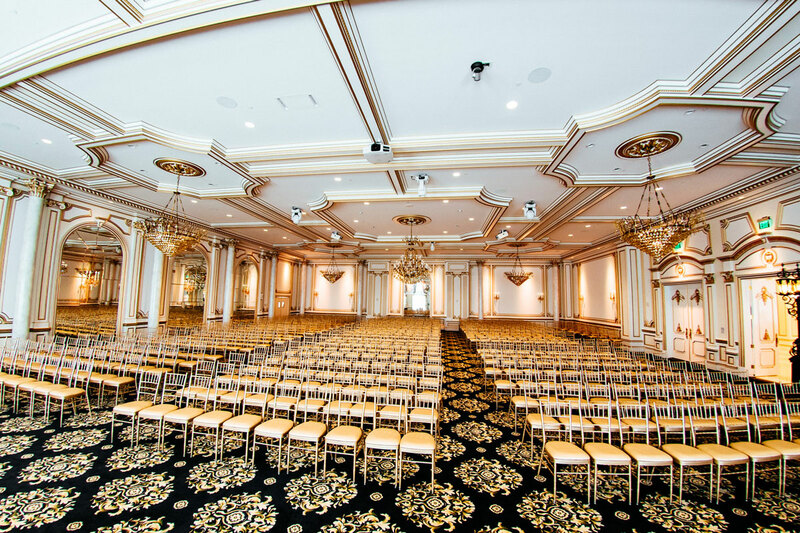 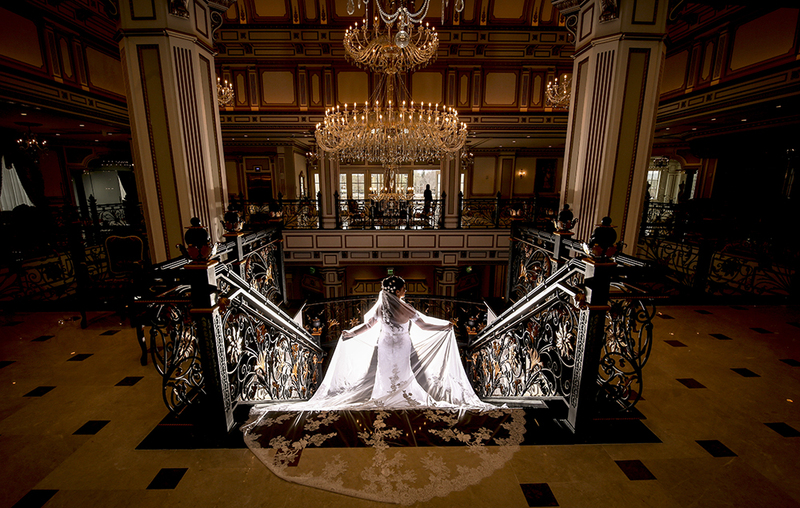 Most grand ballrooms and palaces around the world are dazzling with a white and gold scheme, and The Legacy Castle is no exception. The white and gold scheme provides the atmosphere with class, elegance, sophistication, and luxury.